This type of filter can be set up inside the cabinet directly under the kitchen sink. Q: We just purchased a new refrigerator with a filtered automatic ice maker. Now I would like the water from my kitchen sink to be filtered. I don’t want to change or alter the kitchen faucet. Is it possible to add a filter to our existing faucet? A: If you want to filter the water from your existing kitchen faucet, there is a setup called an inline faucet filter. Usually, this type of filter can be set up inside the cabinet directly under the kitchen sink. These small, wall-mounted cartridge filters that can easily be changed on a regular basis. 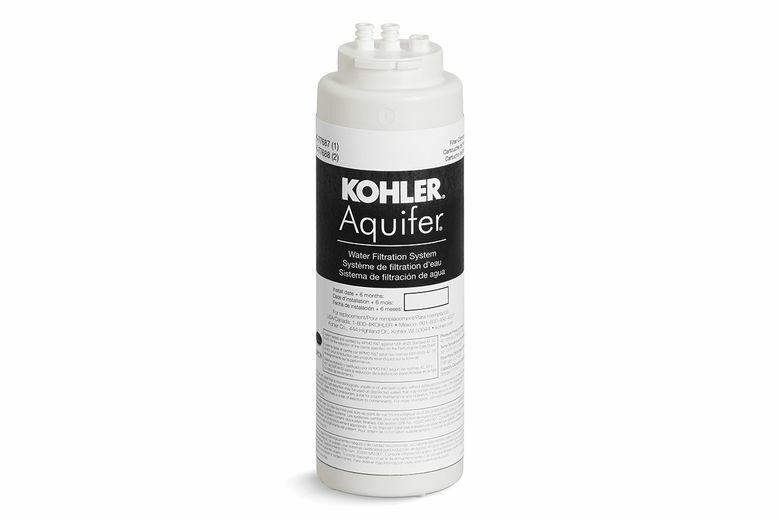 Also, most filters of this type are connected only to the cold water feed line of the kitchen faucet. Different filter options are available, including double-cartridge systems, to make filling up your travel water bottle a pure joy.